Also known as BUR, built-up roof membranes are a multi-ply style roof that has been in use for over a century. Low-slope roofs are the main customers for this roof and because of the tenured history, it is the most popular roofing membrane in use today. Built-up roofs often use gravel or an aggregate layer on top of the multiple plies. With that image in mind, you’ve probably seen plenty of these roofs before, but there’s more involved than just rocks. Built-up roofing uses several alternating layers of bitumen as the base and then covered with a roof coating or aggregate layer. Recent iterations of BUR consist of an insulation layer as well. The insulation layer is used to reinforce the bitumen and often consist of organic or fiberglass mats. The common terminology for this layer is a ply sheet or roofing felt. The intention is to further reinforce the bitumen layer, making the roof stronger, and last longer. At this point, you might be wondering what Bitumen is. Simply put, it is coal tar, cold-applied adhesive, or asphalt. To get coal tar bitumen you distill coal. A scene in Shawshank Redemption shows how coal tar roofs used to be applied. Coal Tar roofs were popular back in the early 1900s but are hardly used at all in today’s modern roofing world. The vast majority use asphalt as the base. To create asphalt bitumen you refine crude oil. Asphalt requires heating before use, generally this is involves using a kettle. The cold-applied adhesive uses asphalt as well but adds a solvent, so you don’t have to heat it before application. 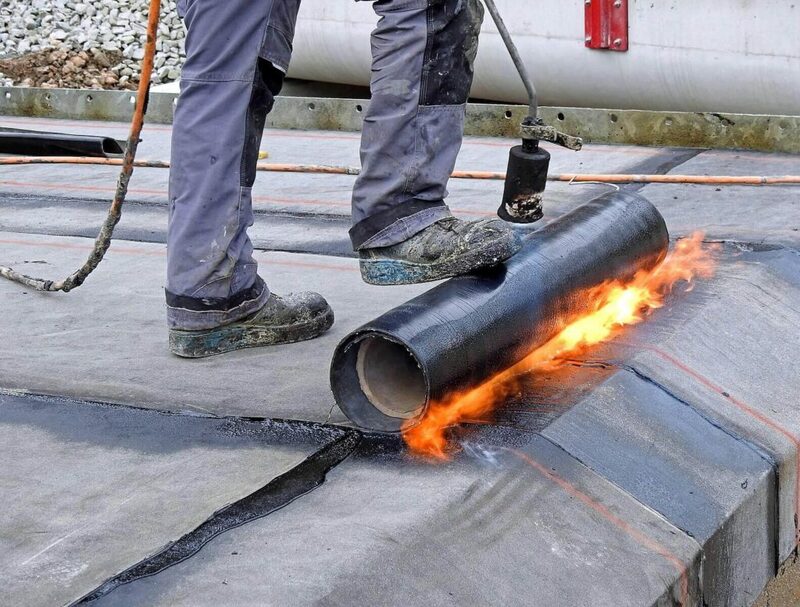 When the bitumen layers are “built-up” to the appropriate ply, “three plies” in our example, the roofing company will usually add a surface layer. As we mentioned above, the surface layer is a roof coating or aggregate layer. Roof coatings come in several varieties including Acrylic, Polyurethane, and Butyl. Silicone is also a type of roof coating but is not used on built-up roof systems. Aggregate layers consist of gravel usually, but can also hot asphalt mopping, an aluminum coating (metal sheet layering), or mineral surfaced cap sheets. When using two or three plies, there is often a need for an aggregate layer, and this is where Modified Bitumen comes in. The advantage of the modified bitumen roofing system is durability, cost, and track-record. The multiple layers bitumen uses an extra layer of durability that can withstand strong storms and last a long time. Using modified bitumen further adds reinforcement to the roof and extends the roof life. Bitumen uses price point materials like asphalt and that brings the overall cost down substantially. Bitumen has a long track-record of success in the roofing industry. 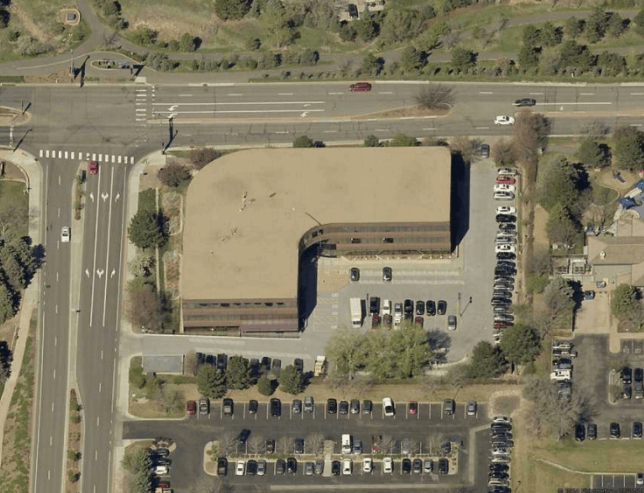 With over 100 years success, it continues to be a go-to for low-slope roofing systems. With the recent evolution of modified bitumen and hybrid systems, the popularity is likely to continue. Modern Roof Co are experts in modified bitumen roofing systems. Whether you are looking for a new roof, a re roof, or a roof repair, we have the knowledge and experience to get the job done right. Contact us today to get your free inspection and talk more about the possibilities for your roof.